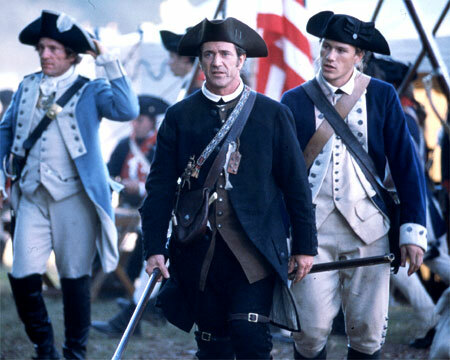 The Slave Issue: Benjamin Martin (Mel Gibson) owns and runs a plantation, yet he considers his slaves “freedmen.” Huh? In 18th century South Carolina? One has to wonder what “rights” are bestowed upon a supposedly “freed” slave in the 18th century. Does Martin pay them a salary of some sort? If so, are they able to spend the sovereigns they earn anywhere? It certainly wouldn’t be prudent for them to leave Martin’s farm, if they, as freedmen, chose to do so. Why? Because of the likelihood of their being picked up by other plantation owners and thrown in with those farmer’s own “stock.” Certainly, it would also not have been prudent for Martin to go around advertising the fact that he has “freed” slaves on his farm. That admission would not have been “politically correct” in the 18th century. However ugly and repugnant slavery was (and the brilliant 1997 film Amistad certainly illustrated that most effectively), it was still an important aspect of life in those times. I would not have thought less of Benjamin Martin had he referred to his workers as “slaves,” yet treated them decently, and as human beings. That would have been more believable — and at least a little more accurate. 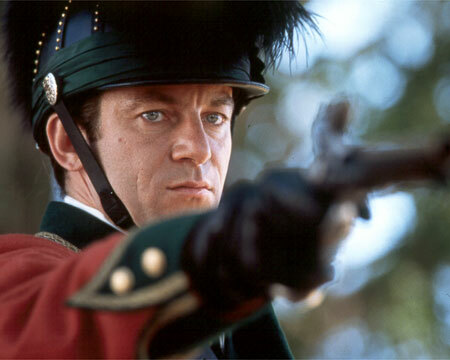 The Butchering Colonel Issue: According to the character profiles on The Patriot’s website, the fictional Colonel Tavington (aka “The Butcher” and played by Jason Issacs) is loosely based on a certain Colonel Banastre Tarleton, serving under Lord General Cornwallis, and was nicknamed “Bloody Ban the Butcher” courtesy of his penchant for killing surrendering troops. Okay. But did he do things like…oh…have people (men, women, children) locked in a church and order it burned to the ground? Did he take absolute, sneering delight in shooting preteen boys in the back? Was he powerfully brutal enough to beat the snot out of Mel Gibson’s Benjamin Martin (a guy who could pummel several Redcoats at once with his Cherokee-made hatchet)? Could he still slash and hack at Martin even after taking a musket ball in the left triceps? I think not. Most British officers were culled from aristocracy (although some did rise through the ranks), so I find it hard to believe that a British officer could be quite that sadistic and brutal — an 18th century “Terminator.” (In one scene Tavington “fakes” taking a musket ball in the gut from Gabriel; then, as Gabriel is about to finish him off with a dagger, Tavington flips over and runs the young man through with his sword. Don’t get pissed at the plot giveaway — you’ll see this one coming. Hey, it’s in the Book of Movie Clichés, doncha know). But, then, the film needed an uber-villain to make us hiss and boo — and it was quite an effective device this time around. My final assessment: Some minor flaws, none of which will spoil your fun. So full of rah-rah moments, that even the most curmudgeonly of cynics might find a lump in their throat, a tear in their eye (I heard a lot of snuffling in the theatre). The minor, fleeting images remain the most powerful for me: Gabriel lovingly, reverently sewing the tattered flag; a young Continental soldier loading his musket as he stands to face the Redcoats, his lower lip trembling with fear; the militia man who shoots himself because he cannot live without his wife and child when he finds them murdered by the Redcoats. Worth seeing; it’s no wonder it was released for the 4th of July weekend.